RIO's Mainstream fly lines make time on the water more enjoyable. Shorter heads, tapers, running lines and a slight increase in weight create effortless casts. Regardless of where you fish, our Mainstream Trout Series has a line to handle the conditions. 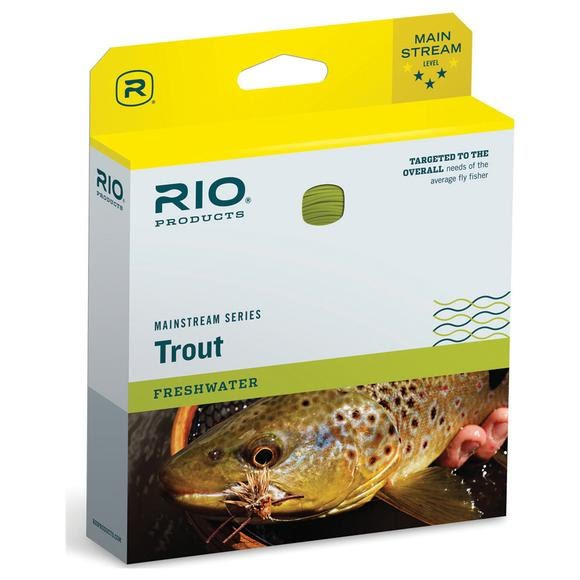 RIO&apos;s Mainstream fly lines make time on the water more enjoyable. Shorter heads, tapers, running lines and a slight increase in weight create effortless casts. Regardless of where you fish, our Mainstream Trout Series has a line to handle the conditions. Each line is crafted in the USA with a supple core and a unique self-lubricating coating that prevents line tangle common with coldwater fly lines.